Pakistan Poverty Alleviation Fund (PPAF) on Tuesday organized 8th Amtul Raqeeb Awards under the banner of National Women’s Jamboree and presented awards to seven exceptional women for their extraordinary and courageous developmental work for their communities. The community leaders from across Pakistan here on Tuesday gathered to celebrate the 8th Amtul Raqeeb Awards ceremony. The event highlighted female leaders from rural Gilgit-Baltistan, Azad Jammu and Kashmir, Balochistan, Sindh, Khyber Pakhtunkhwa, Punjab and FATA who, through resilience and determination and with exemplary effort and work, have provided for their households and communities. Provincial pavilions were set up for representatives from diverse backgrounds, such as donors, ambassadors, diplomats, government officials, academia, UN agencies, the corporate sector, and the media to interact with the awardees. Representatives also learned how PPAF financial and non-financial support provided through partner organizations has enabled the women to positively transform their lives and of others across the country. This year, the award highlighted the work of champions including Bibi Sadqa (Killa Saifullah, Balochistan), Bibi Saleha (Lasbela, Balochistan), Shabana Gul (Upper Dir, KP), Faryad Khela, (Karak, KP), Shazia Shiekh (Thatta, Sindh), Janat Manzoor (Rajapur, Punjab), and Ruqia Bibi (Layyah, Punjab). While receiving the awards, the women shared heart-touching stories and talked about their gratitude to the PPAF and its partner organizations for the enormous support. 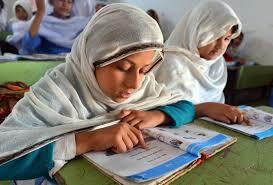 The awardees belong to far-flung areas of the country. The selection criteria for this year’s event brought into focus women belonging to under-privileged districts of Pakistan where the PPAF supports projects under the Government of Pakistan’s Interest-Free Loan Scheme, Programme for Poverty Reduction (PPR) funded by the Government of Italy, the Livelihood Support and Promotion of Small Community Infrastructure Programme (LACIP), and the Hydropower and Renewable Energy Programme funded by the KfW. All the participants of the Women’s Jamboree also underwent a training titled “Iradah,” which engaged participants in activities exploring and strengthening their leadership traits to add further value to the role they play in the socio-economic development of their communities. Qazi Azmat Isa, CEO PPAF, said that the PPAF is committed to supporting and celebrating women, particularly with Amtul Raqeeb Awards and now our first ever national Women’s Jamboree. Through our various programmes, we have highlighted the work of various female leaders from rural Gilgit-Baltistan, Azad Jammu and Kashmir, Balochistan, Sindh, Khyber Pakhtunkhwa, Punjab and FATA. 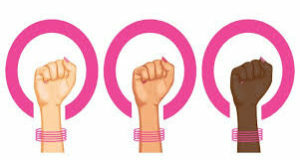 Their resilience in the face of odds shows the strength of the women of our nation. “Women must be encouraged and supported first and foremost by us men, to participate fully in the civic, economic and political mainstream. It is only through this whole hearted partnership that Pakistan can be transformed into the nation that it needs to become,” he further added. Samia Liaquat Ali Khan, Senior Group Head, Pakistan Poverty Alleviation Fund elucidated on PPAF’s work in strengthening women’s voices. He said that the PPAF is celebrating 20 years of action. The challenge that we took up was of ensuring that women are equal partners, actors, activists, participants and beneficiaries within all our programmes. One of the winners, Faryad Khela from KPK, spoke on-stage about the difficulties she experienced in her battle for female involvement in community development projects. Bibi Sadqa from Killa Saifullah, Balochistan spoke about her work to tackle illiteracy and rigid social structures in society. Awards were also presented to winners of the poster and the short film competition that the PPAF organized for university students of Rawalpindi and Islamabad to mark the 16 Days of Activism against Gender-Based Violence campaign. Madiha Khalid from NUST won the poster competition while Noor Alvi from NUST was declared runner-up. Momal Ali from Fatima Jinnah Women University won the short film competition and Alia Fatima from NUST was presented the runner up award. The PPAF organizes the ‘Amtul Raqeeb Awards’ every year on International Women’s Day in the memory of Amtul Raqeeb, the PPAF social mobilizer who was killed by terrorists in 2011 on her way back from healthcare center in Mastung, Balochistan. The award pays tribute to the courageous Ms Raqeeb and encourages female change-makers living in rural areas to work toward socio-economic development of their communities. Amtul Raqeeb’s immense contribution in capacity building of local traditional birth attendants has resulted in a significant reduction of mother child mortality rate in the inaccessible region of Pakistan. 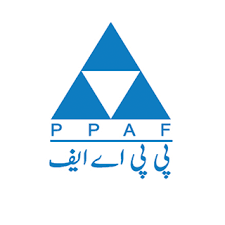 Each year the PPAF invites nominations from its partner organizations for women from deprived regions of Pakistan that are performing extraordinary feats in areas including primary healthcare, girls’ education, livelihood and entrepreneurship, water, energy, infrastructure, climate change, environment, and disaster preparedness. The selection is made on the basis of their contributions as female entrepreneurs, social activists, and innovative champions to bring positive change at the household and community levels. The PPAF held the first Amtul Raqeeb Award ceremony in 2012. 40 women and two men have been conferred with Amtul Raqeeb awards in the last seven years. 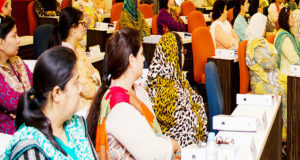 The event was attended by Ms Khawar Mumtaz, Chairperson of the National Commission on the Status of Women, Professor Julius Bitok, the Ambassador of Kenya, Mohamed Karmoune, the Ambassador of Morocco, Ali Alizadeh, the Ambassador of Azerbaijan, and Dr Mirza Ikhtiar Beg, the Senior Vice President of the Federation of Pakistan Chambers of Commerce & Industry (FPCCI).